Do you need support to design or deliver a monitoring and evaluation project or system? Do you want to better understand and communicate the impacts of your organisation or program? Do you need advice on engaging, and developing genuine partnerships, with Aboriginal and Torres Strait Islander people and communities? 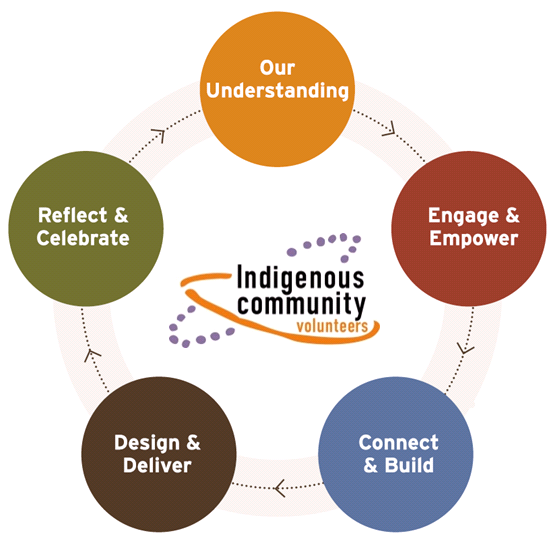 Through experience, ICV has learned what works, and what doesn’t when monitoring, evaluating, understanding ethics and impacts, strategic planning, strengthening governance and developing partnerships with Aboriginal and Torres Strait Islander people and communities. ICV is an Aboriginal and Torres Strait Islander organisation. We have close to 20 years’ experience working side by side with our people specialising in governance, community development and monitoring, evaluation and research. Over the past six years we have iteratively designed a monitoring and evaluation framework and approach based on the expertise of our field team and the communities we work with. We are undertaking research in partnership with communities and have designed a database that can be tailored to monitor and report on outcomes and impacts in each unique, community designed, project. We have documented our learnings in order for others to benefit from our unique approach. We will work closely with you to achieve your desired outcome, drawing on our experience and knowledge, Monitoring, Evaluation and Learning Framework, Community Development Framework and bespoke database. Facilitate two-way learning with Aboriginal and Torres Strait Islander people including through co-authoring position papers, co-presenting at forums, and the development of training and toolkits. ICV’s Impact and Strategy team works to ICV’s time-tested approach and values. We advocate for empowerment and capacity building to create wide-ranging benefits for First Nations people and the wider sector. ICV is an Aboriginal and Torres Strait Islander community development and research organisation. We are a not for profit entity, so your project has the added benefit of directly contributing to further community-led programs, through ICVs Community Development Program. For more information, or to request a quote, please contact us at info@icv.com.au or call (02) 6122 6444.